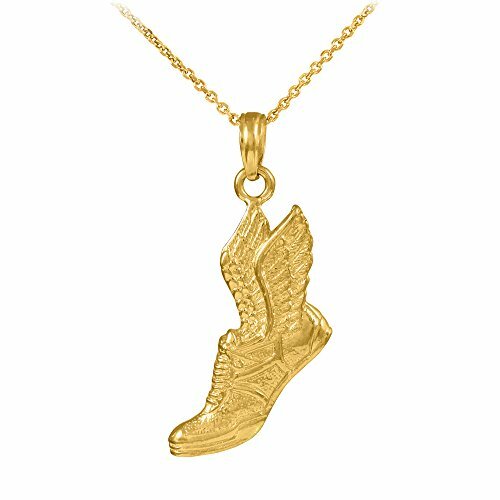 Polished 14k Gold Running Shoe Pendant Necklace, 22"
This polished 14k yellow gold running shoe pendant necklace will make a great gift for any athlete. Made with solid gold to ensure quality. Weighs a comfortable 3 grams. Stands at a height of 1 inch and has a width of 1/2 inch. proudly crafted in the USA. If you have any questions about this product by Good Luck Charms, contact us by completing and submitting the form below. If you are looking for a specif part number, please include it with your message.